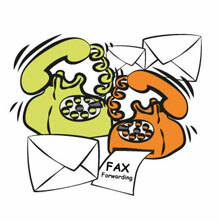 Professional virtual office solutions including mail forwarding, telephone answering and fax forwarding. Our sister-company, Virtual Office, specialise in providing virtual office solutions that can really make a difference to your business. No set up fees - We do not charge any set up fees whatsoever. Mail forwarding - Use our prestigious UK address in London N1, the heart of the capital's financial district. Telephone answering - Our live UK telephone answering service keeps you in touch 24 hours a day, 7 days a week. Email or SMS - Choose how you would like to receive your telephone calls and messages; via email, text message or diverted to your landline/mobile phone anywhere in the world. Meeting room facilities - Our meeting rooms are fitted with an array of equipment and high speed internet access. Available at short notice, we also provide refreshments and offer catering if required. Fax forwarding - Our fax forwarding service emails you any number of faxes sent to your fax number, 24 hours a day, 7 days a week. Stationery - Your UK mail-forwarding address and telephone answering number can be used on all your busines stationery. Whatever your requirements, our dedicated team of telephone answering and mail forwarding staff know they are a vital part of your business. Professionalism, courtesy and exceptionally high standards of service have become our hallmark, making us the first choice for so many businesses reviewing their virtual office requirements. Order online now and we will do our best to have your services up and running by this time tomorrow.